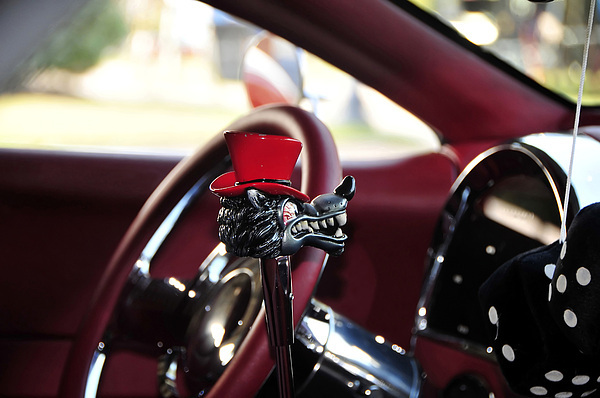 There are no comments for Red Top Hat. Click here to post the first comment. 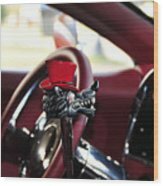 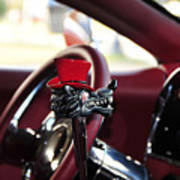 Photography of a costume made shifter and black fuzzy dice in the interior of a classic hot rod.